After almost 5 years of struggling with a hip injury I’ve finally had surgery for a labral tear and femoral acetabular impingement. Rehab is likely to take 10-12 weeks so thought I’d have a positive outlook and set up a blog pre-empting a return to adventures and tales of climbing mountains and surfing my first barrels! One thing I’m keen to start, when able, is microadventures – simple expeditions and challenges which are close to home, affordable and easy to organise. You’ll find lots of ideas and info about microadventures here. But for now, I’m paying the consequences of ignoring a sports injury. On average, a person participating in sport will pick up 1.65 injuries every year and almost 25% will end up quitting sport (40% of which involved tendon/ligament damage). Mine all started when I bought a new white water kayak; it was heavier and needed a stronger hip flick to control. At first there was a niggle after every paddle which would go away after a day or two. I’d started doing a lot of running training for an adventure race and the pain would come on towards the end of a 12 mile run. But before long I could hardly stand up when I got out my boat and 30 minutes of running was all it took. My body caved in after 8 months and I’ve not ran, kayaked or mountaineered since. The impact was huge. It wasn’t just about not doing the sports I loved, it was also about not spending my evenings and weekends with the people I did them with. I wasn’t suddenly going to become someone who hit the shops at the weekend or be glued to the big screen. I trained as a sports massage therapist, began teaching the fiddle and thankfully discovered a new sport compatible with my hips…..surfing (the most addictive yet slowest to progress sport I’ve ever tried). So after years of trying physio, acupuncture, pilates, myofascial release, rest and massage I still had pain and wasn’t able to do the things I loved. It was time to give surgery a try. So as someone who works in a hospital, what was it like being a patient? My surgery anxieties peaked two weeks before the operation; thoughts of having a stroke or drop foot. My back up plan for the latter was trying to emulate the success of the Paralympic handcycling team. I then found myself surprisingly calm, even in the moments before I was put to sleep. All the worrying had been done. In the past I’ve found myself reflecting on the contrasting perspectives of the healthcare professional and patient. Surgery, heart attacks and pneumonia are common reasons for hospital admission. Guidelines and protocols tell us how to manage them but for the patient and their family/friends it can be an extremely worrying time. General anaesthesia – I was all set for a dramatic count down from 10. By the time the syringe of propofol was injected I was out. I didn’t realise that hypothermia and shivering are common side effects. Peri-operatively, the drugs used in general anaesthesia promote heat loss through vasodilation and impaired hypothalamic thermoregulation. After anaesthesia induction, vasodilation and a lower cold threshold in the hypothalamus cause heat to be redistributed from core tissues to the skin where it is lost. The mechanism is a bit more complicated post operatively but I woke up to find myself shivering more than with recent ice dips. 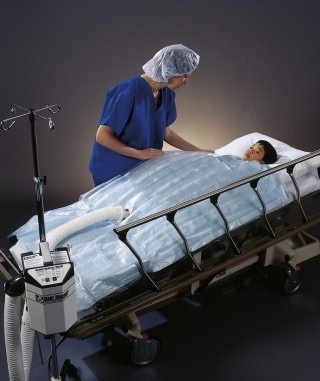 I was actively warmed using the ‘Bair Hugger’ which forces hot air into a blanket placed on top of the you…..I want one! The anaesthetist said when I came round I told her I’d been busy ice climbing to the top of a mountain! Don’t abuse the morphine patient controlled analgesia (PCA) pump! You feel sick, your bowels become jammed and if you use it the day of planned discharge, you risk another night of hospital food. Old ladies beat men on the snoring front. If anyone with normal bladder function thinks they could sit at their desk and pee wearing incontinence pants (recent conversation, don’t ask! ), I would say no after my bed pan experience. Nursing care was great and very ‘hands on’ in contrast to one of Jeremy Hunt’s proposals in response to the Francis Report – student nurses to spend a year on basic ‘hands on’ care as part of their nursing degree. As a food lover, this was my only area of concern. 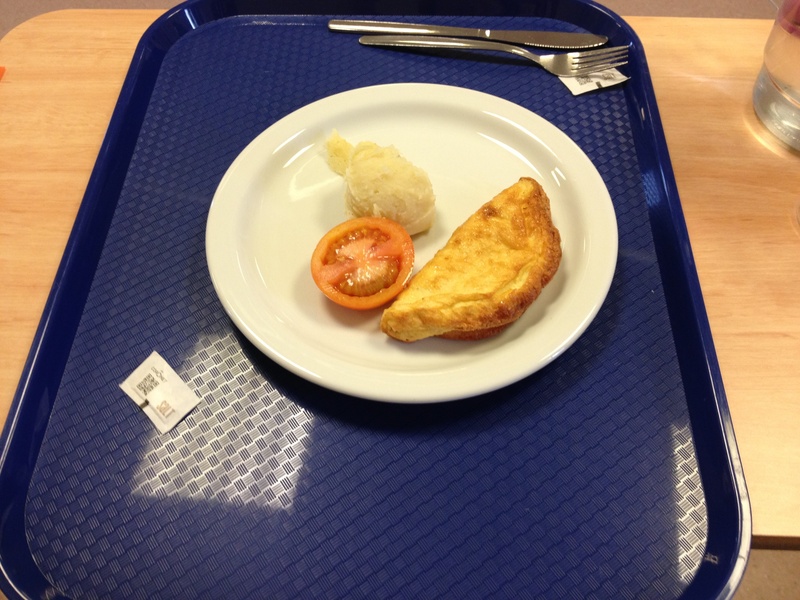 Hospital food in Scotland has to meet nutritional standards but I’m not sure this applied to my Sunday evening meal. My friends know me well and had kindly selected some of my favourite foods to take into hospital. Thankfully I was able to supplement my meal with fresh fruit and homemade muslei bars (I was starving) but you have to wonder about the nutritional status of long term patients? Nutrition is key to recovery and reducing the risk of complications; hopefully the celebrity chef drive to improve the standard of hospital food will be successful and lead to sustainable change. So I’m now back at home resting up and patiently letting my body heal. I’ve been surprised just how much surgery takes out of you. The tiredness takes a while to shift and at just over two weeks post op I’m now managing to get through the day without a nap. I’ve been dreaming…..I dreamt I’d been paddling one of my friends boats (which I would never fit into), mountain biking and doing a ridge walk so hopefully that is a sign of things to come. My glute has halved in size during this time which is astonishing so lots of hydrotherapy and physio to follow. This entry was posted in Random and tagged Femoral acetabular impingement, hip surgery, labral tear, sports injury on 26/03/2013 by Mangoventures.